Welcome. I am so glad you found me! I hope this site answers some questions for you and prompts you to move forward on your journey to health! You take care of your car, your house, your children. You take care of your parents, your job, your employees. You take care of your school work, your bike, your boat, your pets and on and on. Are you on that list? No. You are not. You are not on that list. I am not talking about a yearly vacation or a golf game or massage every now and again. I am talking about consistent, daily attention and care for yourself that you have been denied. And we wonder why, why, why we are tired, cranky, stressed and/or sick. You are not a robot! You are out of balance and the frustrating thing for me is, that this is fairly easy to fix and much easier to prevent! The Healing work done at Reiki of Greater Boston is geared toward activating your own innate healing power which has gotten side-tracked, weakened and/or stuck from exposure to toxic people, thoughts, chemicals, not enough down time, etc. Through the energy therapies your body will be moved toward its original state of health, your mind toward peace and your heart toward its true purpose. Illness, unrest and disease come upon us. To get back to health we must unearth the truth of our purpose, the truth of who we are. Reiki and other energy work assist us in exposing the lies we live which consciously or otherwise contribute to our illness. Stress Reduction and Relaxation can be the first step on the road to recovery. If you have tried many forms of treatment and you are still having a difficult time returning to health you may find some relief in adding Reiki, Yoga & Meditation to your repertoire. Conditions like Sadness/Depression, Stress, Anger, Fibromyalgia, Lupus, and other Auto-Immune disorders are particularly responsive to this treatment in combination with traditional treatments. Come visit me and we’ll chat all about you and we’ll sketch up a plan to move you back into balance. Schedule your Appointment Here. Do it! Do it now! p.s. Please do not hesitate to contact me for answers you cannot find here. I will be so happy to help you. feeds or even I fulfillment you get right of entry to consistently quickly. Thanks Violet! Welcome and I look forward to our future communications. Happy you enjoyed Kristopher. Welcome. from Reiki with these muscle spasms. Hi Donna. Thank you so much for reaching out. Reiki assists all imbalances with our physical and energetic bodies. I will email you with more information specific to Torticollis later tonight or tomorrow morning. Hi Lisa…..I LOVED Yin Yoga…..definitely incorporating it into my daily pratice! Can’t wait for your next event! Namaste Lovely Lady! I’m so happy to hear that Donna! You worked so intensely and I loved having you in class. Send any questions that arise as you start incorporating Yin into your life. See you soon! Hello Lisa, I’m so glad you crossed my path, hopefully you will be able to help me in some way. I have been having lower back/glute pain, and got an MRI, it shows an irregularity in my bone (could be a fracture, am getting a CT scan in a bit, currently in the waiting room). The problem seems to be my SI Joint and a central disc problem. I’m sure my imbalanced chakras have something to do with it. Do you think you can help me? Please let me know, I’m devastated with the whole situation, and I’ve recently begun studies about chakras and multidimensions, it seems to be the key to happiness and well being. I’ll wait for your response. Thank you in advance! I have ALS, diagnosed in 2016, which is slowly progressing. I have absolutely no knee strength, and my fingers are starting to become weakened. Do you were for make home visits? My good friend lost her boyfriend to suicide. She is in shock. I would like to gift a Reiki session for her. He died 3 days ago. Is it too soon to help her? Hi Dani. You are such a good friend trying to ease your friend’s pain. 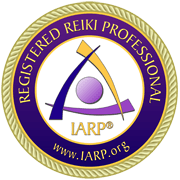 I have provided Reiki Healing for people that close to a traumatic death but everyone is different so I would suggest perhaps purchasing a Reiki Gift Card and presenting it to her for when she is ready. If you’d like to discuss further or get information on options for Gift Cards you can email me at: reikiofgreaterboston@gmail.com. Thank you!